At the core of Land Rover Monmouth—a member of the Penske Automotive Group—is the drive to be more than your average car dealership. When you walk through our doors, you’ll notice immediately that there’s something different about us, specifically our commitment to quality. Our team is comprised of knowledgeable specialists and trained service technicians, all of whom are dedicated to bringing you a memorable dealership experience. Since its inception in 1948, Land Rover has inspired a sense of adventure with astounding sports utility vehicles. Outfitted with bold powertrains, upscale creature comforts, and ultra-modern technologies, Land Rover continues to break new ground in the SUV segment. We aim to carry on the brand’s iconic “Above and Beyond” message by introducing Monmouth County drivers to the capability of the Land Rover family. Under our roof, you’ll find one of the most impressive vehicle inventories in the Asbury Park, Eatontown, Middletown, Red Bank, and Long Branch areas! Whether you’re shopping for a new Land Rover, a fully inspected certified pre-owned vehicle, or an affordable used car, we’ve got you covered. Our cost-effective rates, ever-changing vehicle specials, and finance experts make it easier to get the vehicle you want. Once you have your dream vehicle, the service team at Land Rover Monmouth can partner with you for many years to come, ensuring your Land Rover continues to perform at its peak. In addition to certified service, you’ll gain access to several dealership-exclusive advantages, such as online service appointment scheduling, Prepaid Maintenance, a Vehicle Protection Plan, and One-Stop Service. 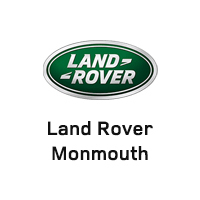 To experience all that Land Rover Monmouth has to offer, visit us today at 807 NJ-35 in Ocean, NJ!